As a consumer, there is nothing more frustrating to me than buying something I’ve been looking forward to owning, only to have it break down soon after. It could be the digital music player that doesn’t turn on or the vacuum cleaner that fails to do its job. Whatever the item and whatever the cause, when a consumer is disappointed in the quality of a product it creates a cascade effect. The experience damages their perception of the brand and, ultimately, the interaction costs the company time (in the form of customer service), money, and more. Ensuring high-quality items begins with the manufacturing process. 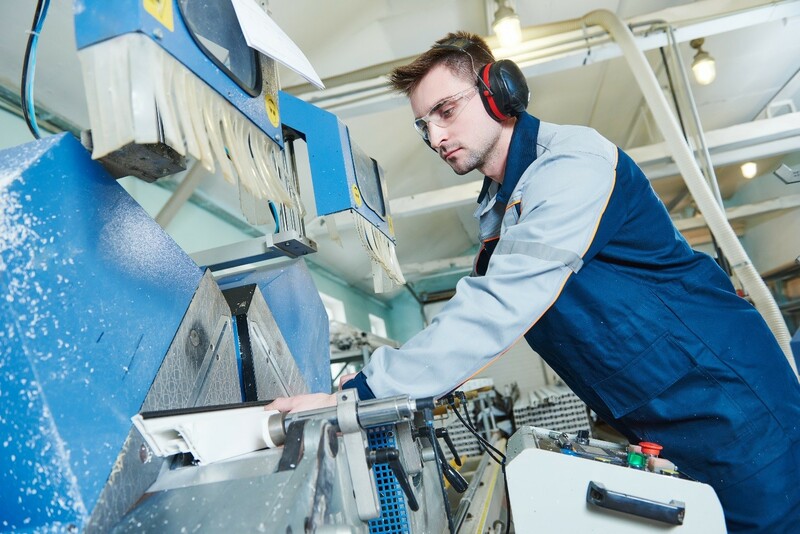 Here’s how lean strategy and OEE lean consulting helps manufacturing companies improve quality assurance and increase profits by reducing rejects. Many business leaders have the impression that lean strategy is focused only on eliminating wastes and cutting costs. While this is an important benefit of lean strategy, one critical application within the manufacturing world is using lean approaches to management to improve overall quality. Within the world of lean thinking, there are several different kinds of waste which take away from healthy production levels and can negatively impact profit margins. Defects–or rejects–are considered one of the seven types of waste in lean strategy. Rejected items cost manufacturing businesses on multiple levels. The actual cost of the rejected item is just one element. It is also important to consider the cost of factors such as wasted time, problem-solving, requiring more inputs, rescheduling production runs, and missing client deadlines. Typically, manufacturing companies have well-designed production processes and schedules which should lead to a perfect outcome each and every time. However, a failure to follow or communicate those processes–or small differences in how operators or shifts approach them–leads to defects. Lean consulting can help manufacturers to establish, document, and effectively communicate their standard operating procedures to all workers. For example, a visual control system such as Kamishibai may be used to help each person completing a task, no matter what shift they are working on, follow the exact same process. Visual control systems also make it easier for managers to audit the processes being used. Standard work procedures help eliminate defects and keep your team on the same page. Designing products and processes for success: Because lean strategy isn’t just about what occurs on the line, strategic manufacturing companies can apply the same line of thinking when developing their products and processes. It is easier to prevent defects when manufacturing leaders can take a step back and ensure their current processes are optimized for efficiency. For example, it may be possible to redesign the process in a way that makes it more difficult to incorrectly assemble a series of components. Lean strategy can design processes and products designed to combat defects from the bottom up, which increases success over time. OEE processes and manufacturing: Manufacturing companies need well-maintained and functioning equipment. Overall equipment effectiveness can play a contributing factor when defects occur. However, if a company is implementing a lean approach to equipment servicing and maintenance, such as OEE, they are much more likely to identify and prevent the issues that can lead to rejects. Lean consultants can help you develop a maintenance and equipment monitoring schedule designed to maximize efficiency and minimize defects. Build a culture that’s focused on and rewards quality: Perhaps no element is more important in eliminating defects and rejected products than focusing on your company culture. Lean people management can help manufacturing companies create a culture where their teams are empowered to address problems, recommend solutions, and identify potential issues before they lead to defects. At the same time, it is important to highlight that quality is a core value of your company and your promise to customers. Consider tying monetary incentives, employee recognition and work audits to quality, rather than to quantity. Your team is more likely to focus on quality when it’s a key component of your company’s performance indicators. Are you ready to explore how lean strategies like OEE and other approaches to manufacturing can help you increase quality and profits? Contact Incito Consulting today to learn more about how our team of experienced lean consultants helps manufacturing leaders reduce rejects and increase profits.